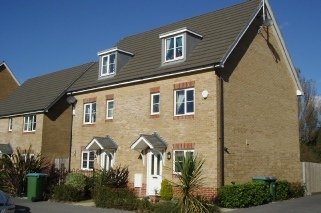 Normally a three or four storey house with the main living accommodation (lounge, kitchen dining) on the first floor. 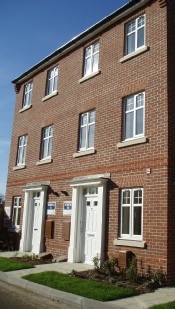 Townhouses are usually very narrow to maximise land usage and tend to be in terraces. Can be expensive for what you actually get. A window in the bathroom is rare. Townhouses and rooms are usually very small. A lot of room is taken up with the staircase and landings. It can be difficult to get furniture sofas, beds and tables upstairs. Amazingly some builders say "this is why flat pack furniture was invented". You will also spend most of the time using the staircase - great if you want to keep fit. 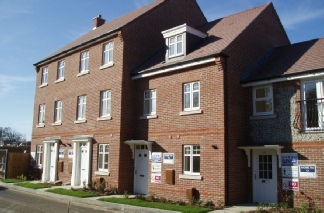 It can also be difficult to sell this type of new house as they only appeal to a small minority of the buying public, being not suitable for older people, or young families. Little or no front garden. Small rear gardens and overlooked. Noise from neighbours can be a problem depending on the type of construction. Timber frame terraced houses tend to be worse and could also be a death trap if there was a fire. Parking can be limited as there is not normally a driveway even if there is an integral garage. Living accommodation (lounge, kitchen dining) on the first floor can mean for some spectacular views. Cheaper to heat being smaller and terraced. Stepping stone between an apartment and a detached house, with no neighbours above or below. Perceived as being more secure. Close neighbours are likely to notice unusual persons on the property and hear suspicious noises. 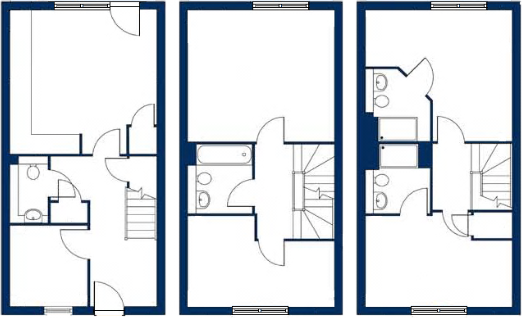 A typical new three bedroom townhouse is around 1020sqft. 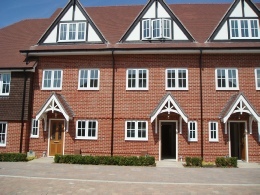 In 2012, a new townhouse in West Sussex was priced at £265,800 equating to £260 per square foot. First time buyers. City living, and for those on limited budgets. The elderly, young families, pet lovers. Avoid! Unless you have no other choices on the development or love the views and the layout suits your lifestyle. actual designs, layouts and/or specifications is purely coincidental.